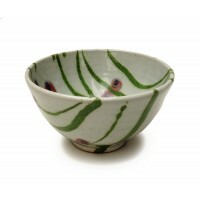 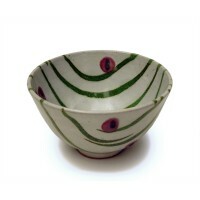 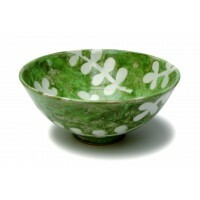 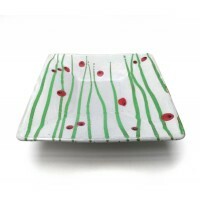 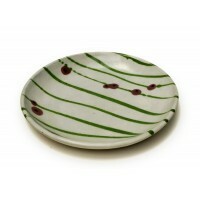 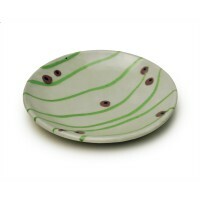 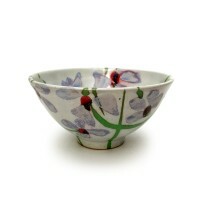 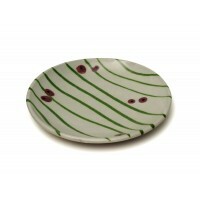 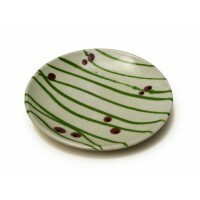 A hand thrown stoneware bowl with white glaze, poppy pattern decoration in green, red, blue/black & gold. 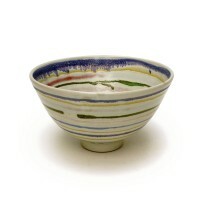 Suitable for individual servings of puddings or snacks. 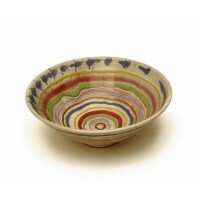 This Bowl is 5 inches in diameter. 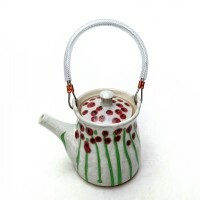 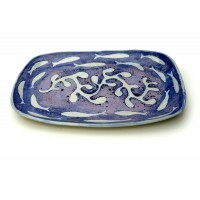 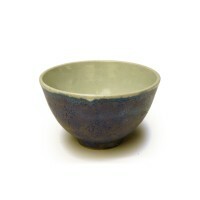 Materials: Stoneware Clay, Food-safe Glazes. 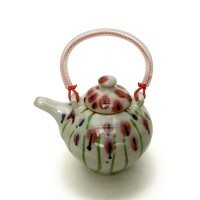 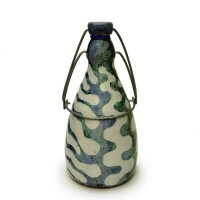 Bottle with blue/green and reactive glaze decoration with Mackerel pattern motif, on a white ground.This pattern was inspired by the markings of mackerel fish. 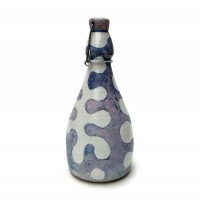 The swing action stopper seals with a rubber washer. 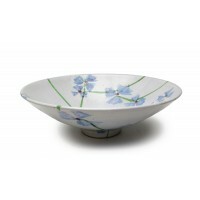 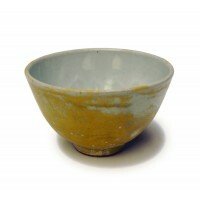 Su..
A hand thrown stoneware bowl with yellow glaze, plain white on the inside.Excellent for desserts and small helpings. 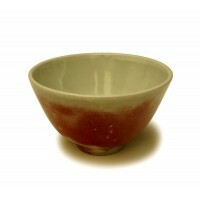 Fits the hand comfortably when you want to take your snack with you.Materials: Stoneware clay, Food Safe gla..
A hand thrown stoneware bowl with red glaze, plain white on the inside.Excellent for desserts and small helpings. 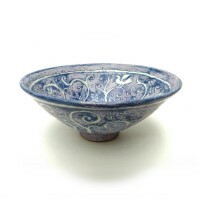 Fits the hand comfortably when you want to take your snack with you.Materials: Stoneware clay, Food Safe g..
A hand thrown stoneware bowl with blue glaze, plain white on the inside.Excellent for desserts and small helpings. 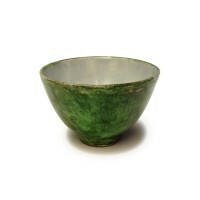 Fits the hand comfortably when you want to take your snack with you.Materials: Stoneware clay, Food Safe ..
A hand thrown stoneware bowl with green glaze, plain white on the inside.Excellent for desserts and small helpings. 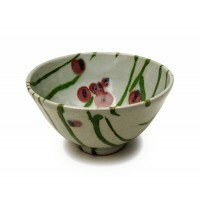 Fits the hand comfortably when you want to take your snack with you.Materials: Stoneware clay, Food Safe..
A hand thrown stoneware bowl with white glaze, hand painted with a scattered flower motif. 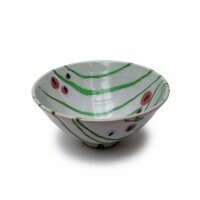 Suitable for salads or fruit - this bowl will make a versatile addition to your collection.Materials: Stoneware Clay - Food Safe Gla..
A large hand thrown stoneware bowl with white glaze, hand painted with a scattered flower motif. 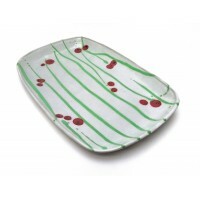 Suitable for salads, or fruit, or puddings - this will make a versatile addition to your collection.Materials: Stoneware Clay ..